Oak MFC finish, silver metal frames. Banks of 6 persons (4800w x 1600d mm) 4 banks (24 users) available. £525+VAT each. Banks of 4 persons (3200w x 1600d mm) 8 banks (32 users) available. £375+VAT each. 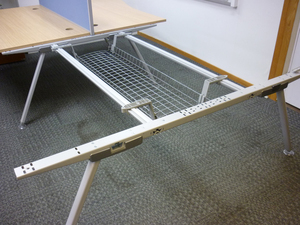 Banks of 2 persons (1600w x 1600d mm) 9 banks (18 users) available. £200+ VAT each. 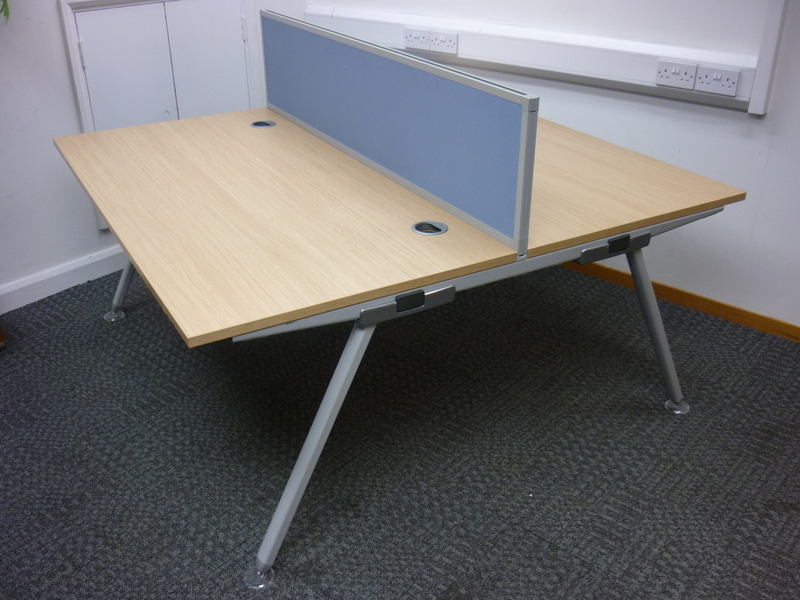 Single desks (1600w x 800d mm) 12 available. £125+VAT each. Good condition and high quality. Some pedestals and screens available. Matching wave desk system available.